Traveling by train is an excellent way to see Europe. You get to see more of the country than you would if you were flying from city to city. It’s also an excellent place to meet fellow travelers. A rail pass is often the best way to travel by train. Determining which rail pass is best for you is simply a matter of coming up with a travel plan. Plan your journey before you arrive in Europe. Most people tend to plan their journey beforehand, but this is particularly important if you intend to travel primarily by train. Decide what countries you want to visit, how long your journey will be for and how long you plan to travel through one specific country. You will also need to decide whether you will be traveling by rail continuously, or if you will generally stay in one location for several days. Determine which kind of pass you require. 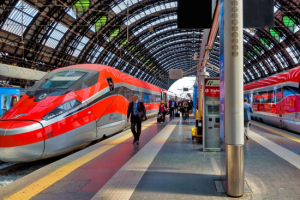 There are two types of rail passes that you can purchase for travel in Europe. One is designed for European residents for travel throughout Europe except for the country of residence. This is the Interail pass. The other is designed for all other overseas visitors and is called the Eurail pass. Depending on where you want to travel to, passes range from a pass that covers just one country to a Global pass, which covers six or more countries. You will also need to choose between a consecutive pass, which covers several consecutive days of travel, or a flexi-pass, which is good for a certain amount of travel days within a certain period, e.g. three days of travel in a one-month period. Order your pass or tickets. Passes are typically 20 percent more expensive when you purchase a pass in country, so it is much cheaper to buy it beforehand. Check train schedules. It is an excellent idea to purchase a copy of the “Thomas Cook European Rail Timetable,” which can be found at Rail Europe offices and also at bookstores in Europe. Otherwise you will have to check timetables at the railway stations or online at the Rail Europe website. 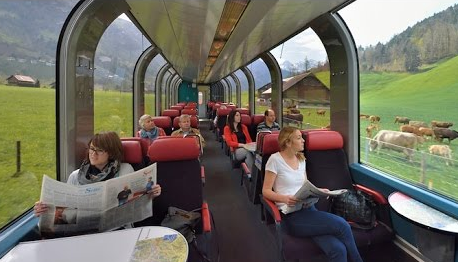 Remember that a high-speed train or an overnight train does require a reservation, which will usually cost extra. Validate your pass at any railway station. On your first day of travel, take your pass to the ticket office and have them activate it. You will need to bring proof that you are not a resident of that country, such as a passport.